The people behind the Westminster Concert Series are ambitious. They’ve tried – and succeeded – in bringing a wide range of programs to the series that spotlight the diversity of classical music as well as focusing on works that don’t receive many performances in Salt Lake City. Among the latter are the six sonatas and partitas for solo violin that J.S. Bach wrote. These are the pinnacles of the violin repertoire yet one doesn’t often have the opportunity of hearing them together. But this season the series has invited members of the Utah Symphony to perform them over two concerts. The G minor and A minor Sonatas and the B minor Partita were played last November by David Langr, Veronica Kulig and Lynnette Stewart. On Monday, the remaining three (the Sonata C major and the Partitas in D minor and E major) will be performed by Stephanie Cathcart, Yuki MacQueen and David Porter. 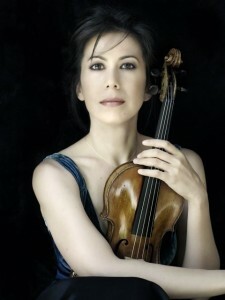 Reichel Recommends contacted the three violinists by email to get their thoughts on the works. Cathcart and MacQueen replied and both had some very interesting observations. twenty years now and knows them intimately. RR: Describe the style of the Partita in E major. SC: It is effervescent and jovial nearly the entire time, yet retains the complexity of harmony and texture that Bach achieves in all of the unaccompanied violin works. It has seven movements (two are played without pause) and it has some of the same challenges inherent in any of the other partitas and sonatas – chordal texture [and] advanced bowing techniques, to name a few. RR: What is your approach to interpreting the E major Partita? SC: I think the E major presents a unique challenge based on its form – the movements are all relatively short…and it is up to the performer to provide the listener with an interpretation that both respects each movement individually and connects them. My approach…has been to treat each movement as if it is a unique dance, while trying to maintain a thread of continuity throughout, almost as if you are moving through different rooms at a party. 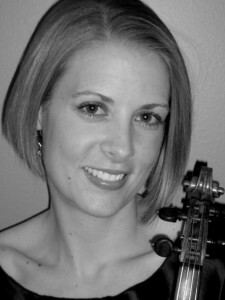 RR: What is your take on Bach’s works for solo violin as a performer? SC: Playing unaccompanied Bach is one of the most rewarding experiences that any violinist can have. At first it is unbelievably daunting, then it becomes somewhat familiar, then you try to “make it your own,” only to realize that, upon each discovery you make while preparing, you will never truly master it (and sometimes you end up feeling like you’re back at step one, daunted). I have performed all of the unaccompanied works (some multiple times) over the last 20 years and each time I return to them I am amazed at their depth and tickled by Bach’s brilliance. I discover “new” things every time I relearn one of them. I will return to them for the rest of my life and never feel done or tired of them. They are paramount in any violinist’s education, training, and life in general. I always feel that I am in my best playing shape when I’m preparing Bach – there is something about Bach’s writing that not only demands your physical best, but also your mental and emotional best. Needless to say, I feel very fortunate to have them in my life and to get to perform them. MacQueen will be playing the Partita in D minor that contains the famous Chaconne. Like Cathcart, the six unaccompanied violin works have been with her since her early days as a student, and she has studied the D minor Partita with a number of renowned violinists, each of whom gave her a fresh perspective on the work. RR: Your first encounter with the D minor Partita was as a teenager. How was that experience? 20th century edition that was bowed in accordance to the romantic performance traditions of the turn of the last century, which included wide tempo fluctuations, some expressive slides, fully sustained chords and the use of a rich vibrato. My ideal performance models were violinists such as Heifetz, Szering and Milstein. RR: While at the University of Maryland, you had a chance to study the partita anew. YM: My new teacher was going for a more historically informed approach on the modern violin. We used an edition that included the facsimile of Bach’s manuscript, and I strained my 18-year-old eyes to make sense of the flourishes of the handwritten manuscript. RR: After a couple of years at the University of Maryland you transferred to the Curtis Institute of Music and studied with Arnold Steinhardt, first violinist of the now disbanded Guarneri Quartet. YM: He had his own wonderful approach that was both dance oriented and romantic. He encouraged me to express the emotion in the music and explained that Bach was a master of improvisation. Some of my fixation with “period” technique was getting in the way of experiencing the music on a visceral level. Mr. Steinhardt reminded me to smell the roses while still honoring the integrity of the dance rhythms. RR: Finally, you had the opportunity of working on the D minor Partita with Robert Mann while a graduate student at Juilliard. What was that like? YM: [He] approached the work from an intellectual angle and pointed out the wonders of Bach’s compositional techniques. Mr. Mann, also being a composer, naturally saw all of the elements that made these works extraordinary. RR: How has all this influenced your interpretation of the D minor Partita? YM: The biggest challenge…has been to find my own interpretation that would reconcile and synthesize the disparate aspects of my Bach education. Over the years, I have continued experimenting with historically informed ideas while still holding on to some deeply cherished touches from all of my past influences. MacQueen will be playing the partita using a facsimile manuscript, rather than a modern edition of the work. This entry was posted in Concert Previews by Edward Reichel. Bookmark the permalink.